Israel-based taxi-hailing app developer Gett Inc. makes 100 million rides a year and “generates around $1 billion in mobility services,” according to a Wednesday filing by Stockholm-listed venture capital firm Vostok New Ventures Ltd. In its financial report for the second quarter and the first six months of 2018, Vostok provided information on the performance of companies it is invested in, including Gett. According to the report, half of Gett’s revenues comes from its activity in London and New York. A Gett spokesperson could not be reached for comment. Vostok holds a 5.6% stake in Gett which it values at $55.5 million, based on the valuation for Gett’s latest $80 million funding round led by Volkswagen in June. This represents a 9.8% drop compared to Gett’s valuation in the first quarter of 2018. Gett is aiming to become profitable in all markets in 2019, according to the report and previous statements by the company. Founded in 2010, Gett currently operates in Israel, where it dominates the ride-hailing market, Russia, the U.K. and New York. The company raised $674 million to date, according to Pitchbook data. In 2016, German carmaker Volkswagen poured $300 million into the company, becoming its biggest investor. In New York, Gett operated as Juno, a local taxi hailing startup it acquired in 2017 for $200 million. 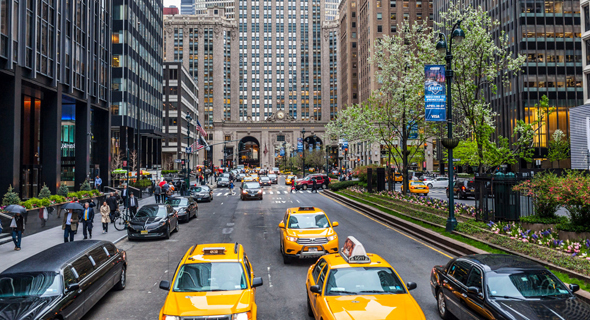 According to the report, more than half of all taxi drivers in New York—45,000 out of 80,000—is signed up with Juno. In its report, Vostok stated that Juno has a positive contribution margin for Gett. In July, Bloomberg reported Gett intends to sell Juno and pull out of the U.S. market due to high operational costs.